I got two great things in the post today! 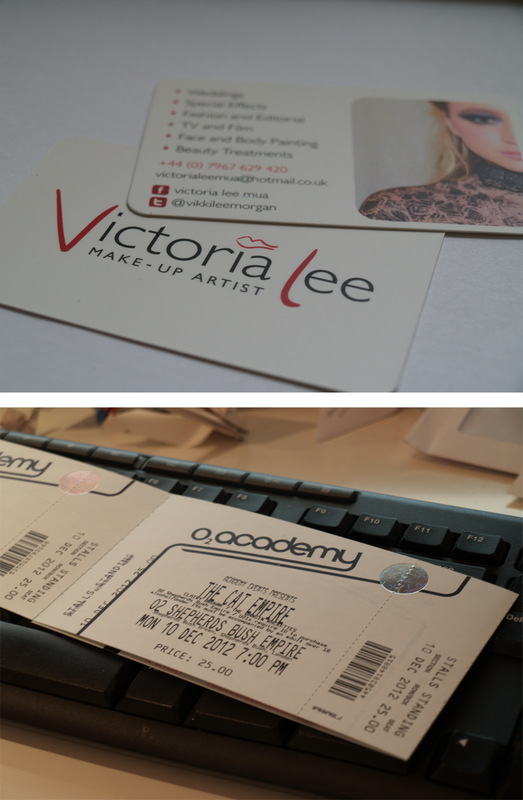 First off, my second business card/identity commission for make-up artist Victoria Lee, and I’m really happy how they turned out! Secondly, my Cat Empire tickets arrived! The gig isn’t for 5 months, but I’m already excited, they’re one of my favourite bands! In other news, went for lunch with Mum today, and then ‘tried’ to do work, which amounted to way less than planned, but tomorrow is another day!